AmericaTowne® Import Trade Center is part of the trading hub of Ningbo China. Located in Zhejiang Province, Ningbo is a fast-growing coastal city and is world’s 4th largest port. Ningbo is situated in the center of China’s eastern coastline. Located in northeastern Zhejiang Province, the city rests in the southern portion of the Yangtze River Delta. The Zhoushan Archipelago lies east, protecting the port. Hangzhou Bay borders to the north, Shaoxing city is to the west, and Taizhou city lies south of Ningbo. Sometimes referred to as “Yong,” Ningbo is a city divided into portions by three rivers, the Yao River, Fenghua River and Yong River. 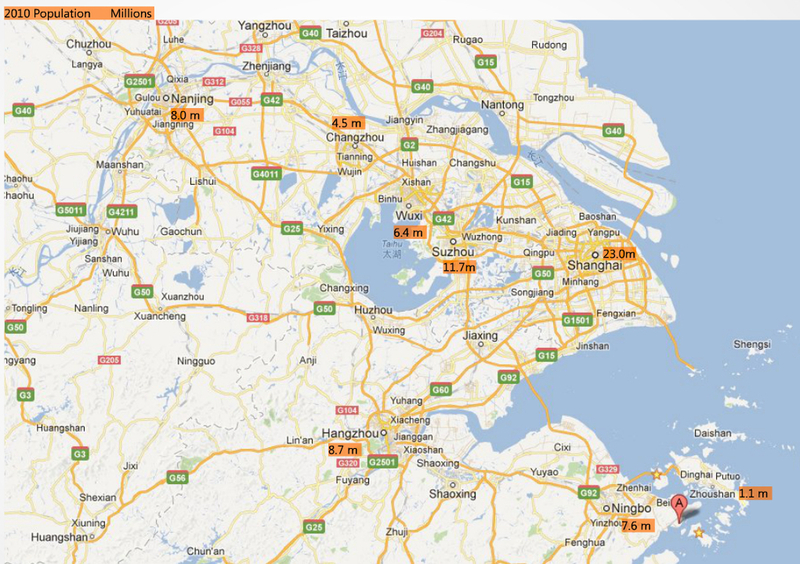 Ningbo is located in one of the wealthiest places in China with advanced infrastructure and systems. Ningbo's population is 7.6 million, and its total export-import volume is $96.57 billion. It's Port throughput 453 million tons. Within Zhejiang Province, 50 million people live there and its one of the most wealthiest regions in the Country. 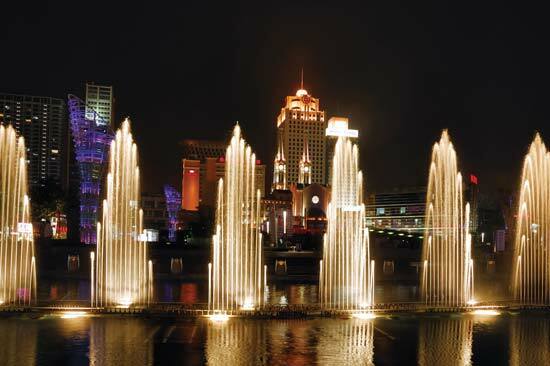 Ningbo is a well-connected city; flights leave for more than 30 major cities, including Hong Kong, Macau, Seoul, Bangkok, and Singapore. The Xiaoshan International Airport is less than an hour away. Very important is the direct link to Shanghai across the new, 36 km Hangzhou Bay Bridge, first opened on May 1, 2008. It is the longest sea-crossing bridge in the world, and ensures that Ningbo will be a vital hub for land and sea transportation and shipment. The bridge provides a fast link from Ningbo to Shanghai. In 2006, the UK’s Container International magazine listed Ningbo Port as one of the top 5 in the world. By 2009, the port was the second largest in Mainland China and 4th largest in the world, with a throughput of 380 million tons. The year’s throughput of containers was 10.423 TEU. Now the port serves 216 shipping lines, including 113 ocean-going routes. A key commercial center for thousands of years, modern Ningbo remains a vital economic and trade center. Ningbo has official State Council designation as a “separate planning city.” Like Shanghai, it enjoys local economic administrative rights similar to those of the provinces. The State Council approved the establishment of the Ningbo Free Trade Zone in 1992, and the construction of the Ningbo Export Processing Park in 2002. In 2004, Ningbo also opened its Bonded Logistics Park to facilitate business between the port and city. Foreign trade volume was USD 60.81 billion, putting Ningbo in 3rd place out of all sub-provincial level cities in China for 2009. In the first half of 2010, total foreign trade amounted to USD 39.07 billion. Today, the city is one of China’s top commercial cities and a center for conferences and exhibitions. 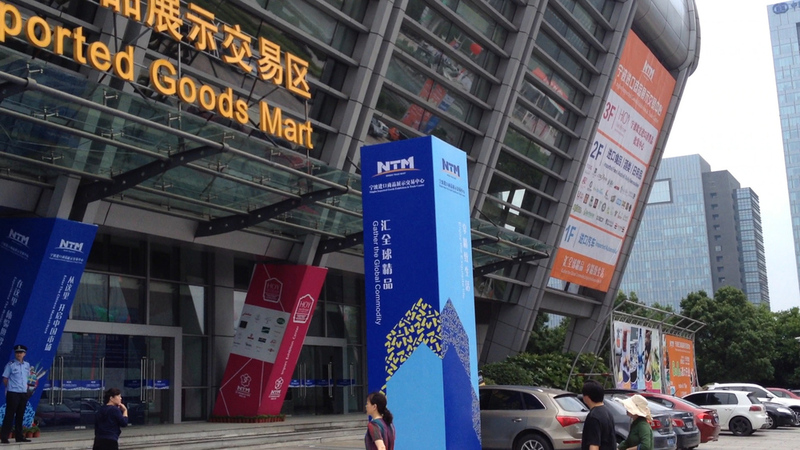 This year, Ningbo is home to the World Agriculture Convention (July), the China Fishing Festival (Sept), the China Food Exposition (November), China International Consumer Goods Fair (June) and dozens of other events. The Meishan Bonded harbor area opened in June 2010 and has favorable tax policies including VAT exemptions. These areas are helping make Ningbo a hub for regional distribution in the Yangtze River Delta area. The city of Ningbo governs six districts (Haishu, Jiangdong, Jiangbei, Zhenhai, Beilun and Yinzhou), three county-level cities (Yuyao, Cixi and Fenghua), and two counties (Xiangshan and Ninghai), and covers an area of 9,817 sq. km on land. Haishu may be the busiest and most commercial area in Ningbo. It includes the Hualian commercial building, Changfa commercial building, and City God Temple mall. Star-rated hotels such as Nanyuan, Xinyuan, Huajia and Jinlong hotel are here, as well as the city’s major financial institutions, departments of commodity inspection and customs. Yinzhou, Zhenhai and Beilun are also part of Ningbo, but less populated than the three districts mentioned. Zhenhai is home to many international companies such as LG. Electronics Korea, Jingfeng Co.Taiwan, Toshiba Japan, N.V., and Arnhem Netherlands, There are more than 700 joint venture factories here. There are many colleges in the area, including Ningbo University, Ningbo Science & Technology College, Ningbo Broadcasting University, Ningbo Mechanical College, Ningbo Textile Vocational College.